It was thanks to Channel 4’s Information Program that Where Does My Money Go? was born. ‘Where Does My Money Go?’ was the original version of OpenSpending for the United Kingdom and has inspired many international versions of the site. The Open Society Foundations support community building work around Open Spending Data. With this project we aim to help more groups and individuals around the world to use and work with spending data more effectively to do the things they care about – whether this is investigative journalism, evidence based policy-making, political campaigning, budgeting or creating new useful applications and services. In particular, we would like to document and spread best practices in the legal and technical aspects of reusing public information, and enabling re-use and better collaboration around this material. Read the announce post for more information. The Knight Foundation support the development of the Spending Stories project. Spending Stories is a tool designed to speed up fact checking around spending data, helping journalists to connect raw data with their stories and build context around data with visualisations and auxilliary information.  The Omidyar Network funded the research behind the report ‘Technology for Transparent and Accountable Public Finance’, which was presented at the Global Initiative for Fiscal Transparency meeting in Brasilia in April 2012.